By using Zions Register of Injuries books your company will deflect hefty fines that can be imposed under the Workers Compensation Act for failure to keep a register of injuries at every office, factory, workshop, mine or quarry. 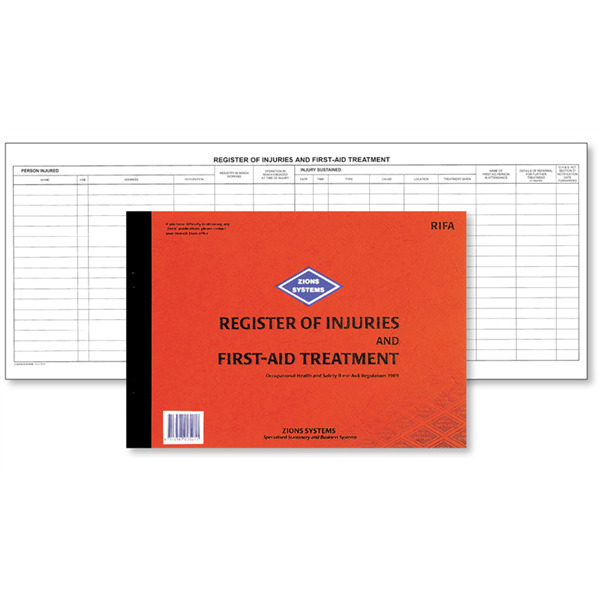 The Occupational Health and Safety (First-Aid) Regulation states that a Register of Injuries and First-Aid Treatment is required. 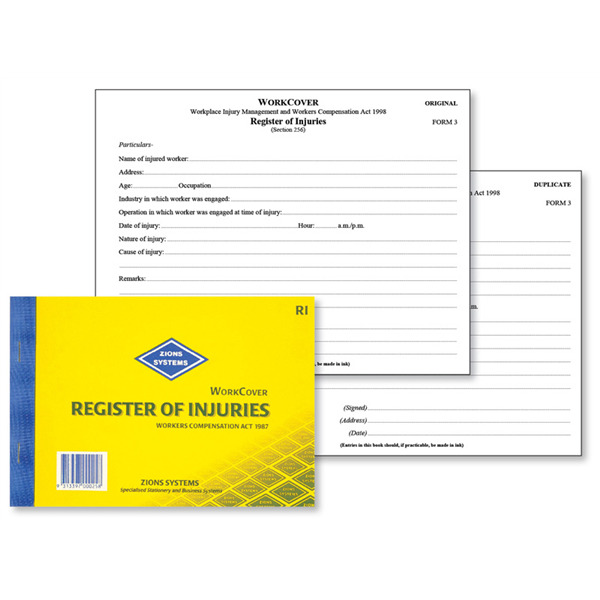 A register must be kept at each place of work and is to be made available for inspection upon request by an inspector from the Workcover Authority. Records of injury and treatment are to be kept for a minimum of five years. Each book contains 50 pages, 16 lines (entries) per page. 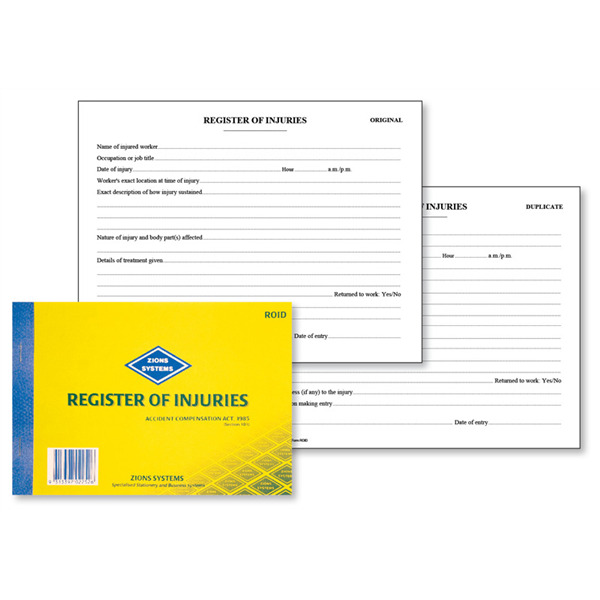 It is a requirement under the NSW Workplace Injury Management and Workers Compensation Act 1998 (Section 256) to keep a Register of Injuries. A register must be kept at every office, factory, workshop, mine or quarry. Hefty fines can be imposed for failing to maintain this register. Book contains 25 leaves in duplicate of the Form 3 required under Section 90 of the Act. Original copy is sent by employer to insurer, duplicate remains in book. The Accident Compensation Act, 1985 states that all businesses in Victoria are required to maintain a Register of Injuries at each workplace. The Register of Injuries book enable employers to keep a record of all workplace injuries for immediate and future claims with Workcover. Book contains 25 sets in duplicate. Original copy is sent to the Victorian Workcover Authority, duplicate copy remains with the employer.